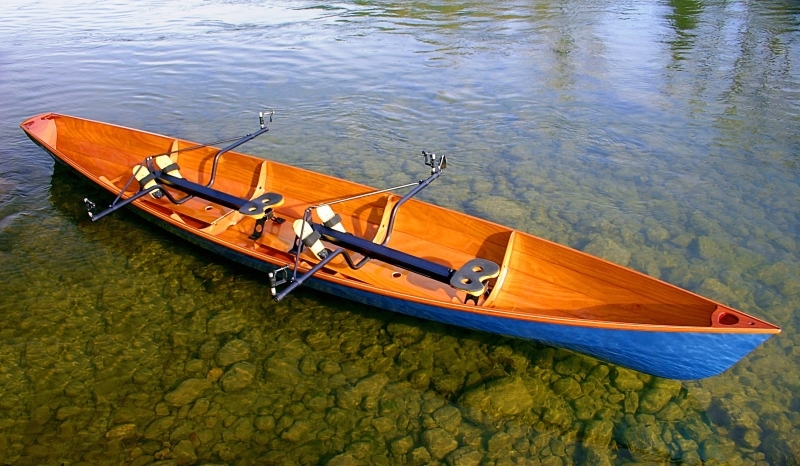 Evolution Boats makes modern, ultra-beautiful, ultra-light, sliding seat rowing boats that can take you anywhere. We believe that rowing is the ideal way to self-power a boat on all types of water bodies from the ocean to white water rivers. Our four boat models, including a unique electric-motor version, provide new levels of performance for people wanting experiences beyond paddling. Rowing is recognized as the fastest and most efficient way to self-power a boat. The strongest part of the body, the legs, provides the majority of power in sliding seat rowing. This means the whole body is used in a balanced, low impact way: legs, abdomen, arms and back. Rowing is the ideal exercise choice for people who want to maintain an active life style or train to the highest levels of overall fitness. Rowers are more mobile, warmer and more comfortable than canoeists and kayakers. All this translates into more quality time in the boat: more miles travelled, more sights seen, more challenges met. 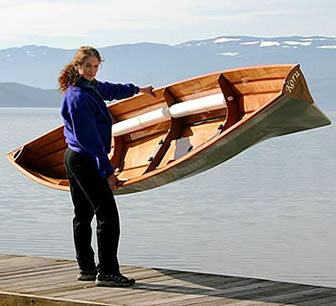 Virtually everywhere you can take a boat, you can row and do it with more agility, speed and efficiency than paddling. Evolution’s boats are ultra-light, high performance, all purpose craft designed to exercise in, tour in, picnic in or even bird watch in. Evolution’s “row everywhere” concept is supported with features and accessories such as passenger seat systems, decks, floor boards and load securing points that bring new levels of comfort and practicality to rowing.